World Homeless Day draws attention to the needs of people experiencing homelessness and helps educate the community about the issue. There are many reasons why people become homeless. It might be a range of complex circumstances such as alcohol or substance abuse, mental health issues or relationship and family breakdown. 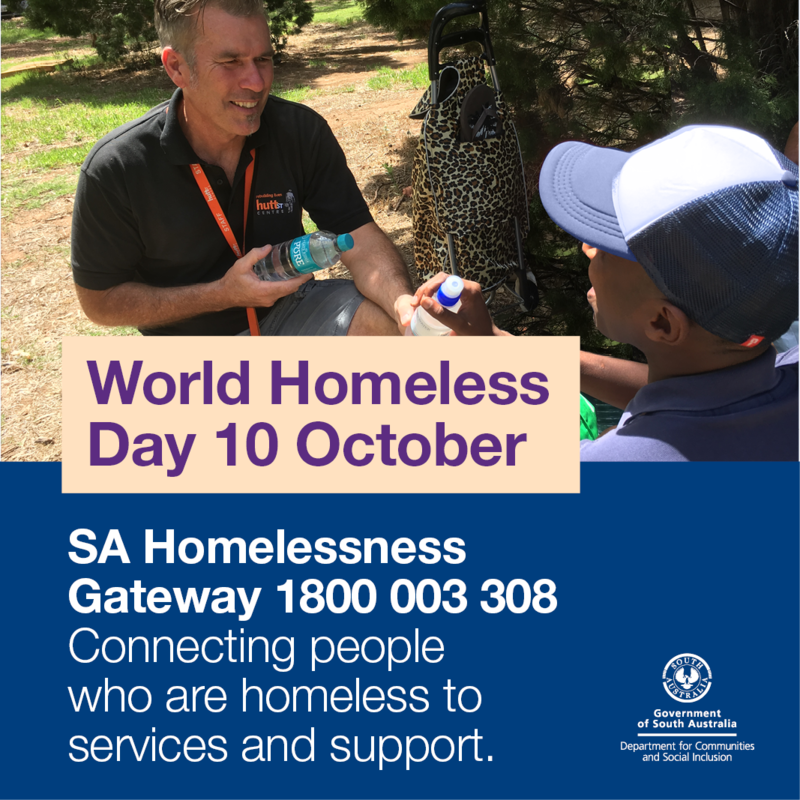 World Homeless Day on 10 October was established by aid workers in 2010 to focus on local action across the globe and highlight the work being done by government and community organisations. The South Australian Government will spend a record $64.3 million in response to homelessness in 2017-18, investing in 79 services that support people into secure housing. The services provide accommodation, case management, support and counselling for single people and families, youth, and women escaping domestic violence or Aboriginal family violence. The Government also funds the 24-hour South Australian Homelessness Gateway service, which provides intake, assessment and referral services. It also offers advocacy and emergency accommodation for people sleeping rough or at risk of homelessness. Anyone who is homeless or at risk of homelessness should call the gateway on 1800 003 308.